Ruby Rose Photos, News, and Videos | Just Jared Jr.
Meg Donnelly To Perform At 'Disney Parks Presents a 25 Days of Christmas Holiday Party' - First Look Pics! Check out these festive, exclusive pics from the upcoming Disney Parks Presents a 25 Days of Christmas Holiday Party! Disney stars Meg Donnelly, Ruby Rose Turner, Dakota Lotus, Sean Giambrone and Sadie Stanley join in on the fun for the annual celebration, kicking off the holiday season. The event will be hosted by Jordan Fisher, Ruby and Dakota, and in the half-hour special will feature star-studded musical performances and special appearances by Disney Channel stars Booboo Stewart, Kylee Russell, Sadie and Sean. Meg will actually be performing her rendition of “Mele Kalikimaka” for the event! Sadie and Sean will also gives fans an inside look at Lightning McQueen’s Racing Academy, where guests will experience the world of Pixar’s Cars films and come face-to-face with Lightning McQueen. The experience rolls into Disney’s Hollywood Studios at Walt Disney World Resort in spring 2019. Disney Parks Presents a 25 Days of Christmas Holiday Party will premiere THIS FRIDAY, November 23rd on the DisneyNOW app and on Saturday, December 1st @ 8PM ET/PT on Disney Channel. 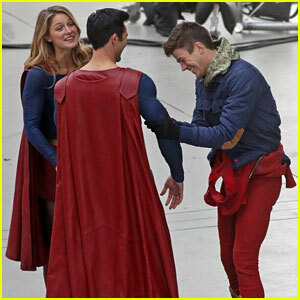 Melissa Benoist, Tyler Hoechlin, and Grant Gustin have some fun on the set of The CW’s Arrowverse crossover! 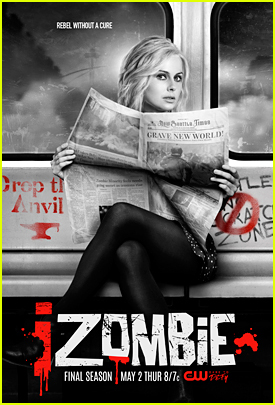 The co-stars were seen filming on Wednesday (October 31) in Vancouver, Canada. They were joined by their other co-star Stephen Amell. The CW Unveils First Look at Ruby Rose as Batwoman for Arrowverse 'Elseworlds' Crossover! We are in love with the first look pic of Ruby Rose as Batwoman for The CW’s Arrowverse crossover! 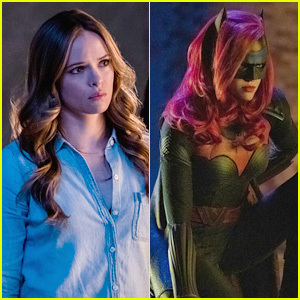 While no official summary about the crossover, titled “Elseworlds”, is out just yet, it will introduce Kate Kane to the DC world across Arrow, The Flash and Supergirl. Tyler Hoechlin and Elizabeth Tulloch will star as Clark Kent and Lois Lane, and Cassandra Jean Amell as Mr. Freeze’s wife, Nora, will also guest star. Elseworlds will kick off on Sunday, December 9th and continue until December 11th.